Surely the facts are. . . YIKES! Rachel Dolezal, 37, is the head of the local chapter of the NAACP and has identified herself as at least partly African-American. But her Montana birth certificate says she was born to two parents who say they are Caucasian. 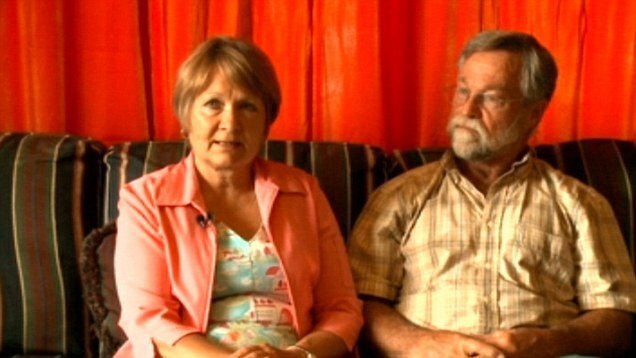 The parents shared that document and old photos with CNN. CNN tried to reach Rachel Dolezal for comment by emailing and calling her, but was unsuccessful. The Spokane Spokesman-Review. newspaper reported, though, that she has framed the controversy surrounding her racial identity in the context of litigation over guardianship of her adopted brother. Here she is with the adopted brother she’s trying to pass off as her son. According to court documents obtained by CNN, Rachel Dolezal’s adopted brother, who is black, sought emancipation from Ruthanne and Lawrence Dolezal in 2010. The adopted brother, now 21, said the Dolezals used “physical forms of punishment” and had sent his brother and sister away to group homes because they didn’t cooperate with the couple’s religion and rules. The petition for emancipation was dropped. In a separate legal action in 2010, the court appointed Rachel Dolezal to be the adopted brother’s guardian with the consent of Ruthanne and Lawrence Dolezal. But this obviously didn’t dissipate their ire. On Friday, the Dolezals told CNN they didn’t want to comment on a possible “legal dispute” their daughter or the NAACP had mentioned. So we’ve not heard the end of this parent/child fracas by a long shot. Dolezal represented herself as African-American — along with several other ethnicities, including white and Native American — in an application for a Spokane police ombudsman commission. Dolezal’s public racial identity came under scrutiny on Thursday, when a reporter from CNN affiliate KXLY held up that photo asked her if it showed her dad. She replied that it did. 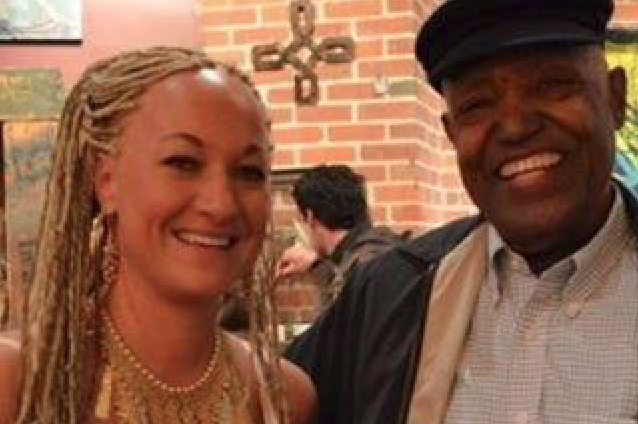 Dolezal has said she’s been harassed in Spokane because of her race and activism. 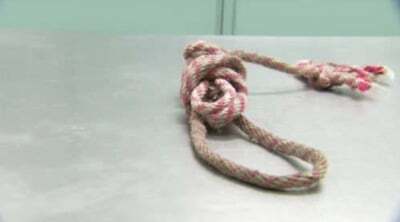 In September 2009, she told Spokane police she found a noose on her front porch a few days after her house was burglarized, according to a police report. Dolezal said she had numerous problems with the Aryan Nation and other hate groups because of her job and “biracial heritage,” the report said. “I spent a lot of time in Mississippi so when I saw that rope, I knew what it was,” she said in an article in the Coueur d’Alene Press. In February she reported finding an unnerving letter in the post office box for the NAACP. The police report said the envelope contained copies of news articles, prints of old photos of lynching victims and quotes about socialism and the New World Order. The letter contained no direct threats against Dolezal or the NAACP, police said. Police haven’t made arrests in either of the cases. Could she have placed the nose and sent the letters? 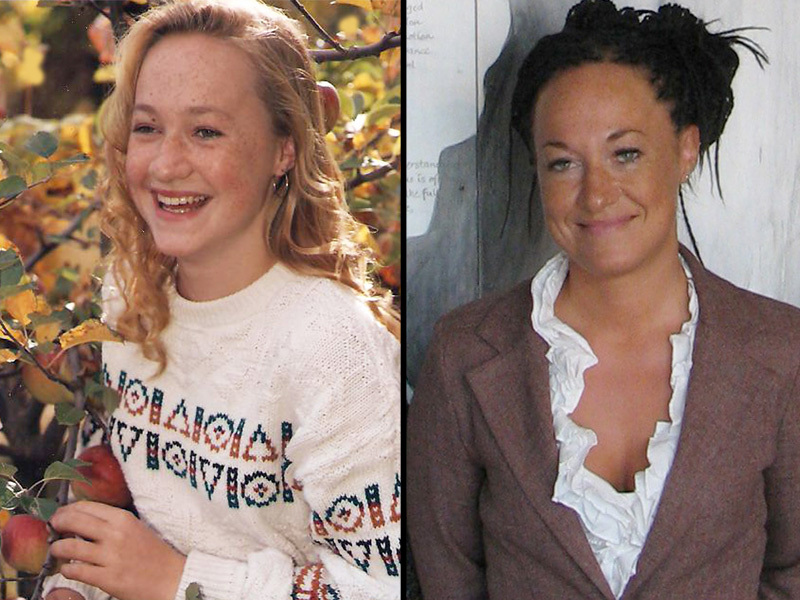 Rachel Dolezal grew up in what her parents called a diverse family, with friends from various ethnicities and four adopted siblings who were black. She was “always interested in ethnicity and diversity” growing up, her mother Ruthanne Dolezal said. Dolezal attended college in Mississippi, then went on to Howard University on scholarship — not having identified herself black then on her application, because there was no such option, though people there may have assumed as much “because her portfolio of art was all African-American portraiture,” her mother said. “She has not explained to us why she is doing what she is doing and being dishonest … with her identity,” Ruthanne Dolezal said. Rachel Dolezal wouldn’t answer the Spokesman-Review’s questions about her racial heritage directly and said she wanted to talk to local NAACP leadership first. “I feel like I owe my executive committee a conversation,” she said. Anyone who understands con artists would. Dolezal’s story is in many was remindful of Laura Albert –. a literary fraud who created a writer named ‘j.t.leroy” who was supposedly an HIV+ teenage male hustler. played in public by Albert’s niece Savannah Koop. As for Dolezal one is also reminded of a black man who passed for white, hid that fact and became one this country’s most destructive racists.